8x10 glass negative by Lycurgus S. Glover. Detroit circa 1905. 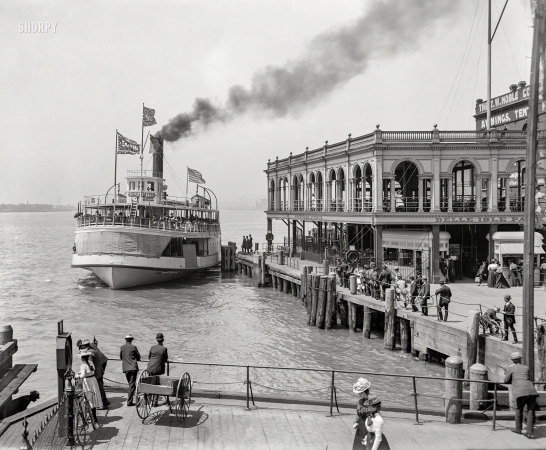 "Steamer Sappho at Belle Isle Ferry dock, Woodward Avenue."